One bit of news we neglected to mention yesterday. On Sunday, LA Metro announced that in addition to recently reduced rates, you can now use your TAP card to rent a Metro Bike bikeshare bike. 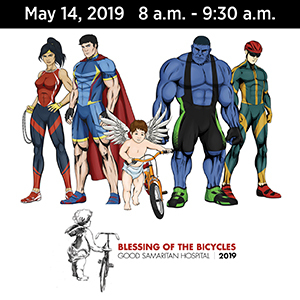 However, you still need to enroll with Metro Bike using your credit or debit card, which poses a significant barrier for lower income people who may not have either one. It’s not clear from the announcement if TAP cards can be used for one-time walkup rentals. Another good piece by Bike Snob’s Even Weiss, who says it’s time to stop comparing cycling and driving violations. Then proceeds to do just that, to demonstrate that bicyclists and drivers both break the law, but not in equivalent ways. And only one poses a significant risk to others. A British Columbia bicyclist captures a punishment pass on his bike cam, as a pickup driver tries to force him into the back of a parked car. For a change, though, a cop saw the whole thing and immediately pulled the driver over. We mentioned this one last week, but it’s worth mentioning again. New research from the AAA Foundation for Traffic Safety shows that drivers tend to overestimate the safety technology in their cars. Especially when it comes to automatically detecting and braking for bicyclists and pedestrians. Maybe because virtually every other car ad on TV implies that newer cars can do exactly that. Even though current systems have trouble actually spotting either one. Los Angeles is considering extending the bike lanes on Winnetka Ave to fill a one-mile gap connecting with the Orange Line, the LA River and Pierce College, after Ignacio Sanchez Navarro was killed in a hit-and-run as he rode his bike home from work last year. Naturally, local homeowners opposed the idea, with one even saying the bike lanes would lead to scooter riders on the sidewalk. Which is exactly where they are now, because of the lack of safe bike lanes. Thanks to Councilmember Bob Blumenfield for the proposal, which is how Vision Zero is supposed to work. UCLA’s Daily Bruin explains the new law allowing e-scooter user without a helmet, and how they can help expand student mobility. Streetsblog offers a look back at Sunday’s CicLAvia, while Curbed looks at the “whimsical” improvements on Western that made it more inviting to the walkers and riders passing by. 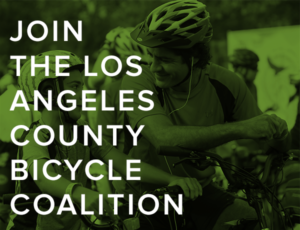 CiclaValley says it will be interesting to see how the attendees at the National Association of City Transportation Officials (NACTO) convention perceive Los Angeles while they’re here. Maybe they can talk some sense into our recalcitrant city council. And give our presidential candidate mayor a good swift kick in the ambition while they’re at it. San Francisco proves that a city can take a notoriously dangerous section of street, and turn it into a safe and comfortable place to ride a bike. Curbed considers how to get around San Francisco without a car, calling it one of the best cities for bicycling. A Denver scooter rider got slapped by an angry pedestrian for riding on the sidewalk, even though that’s where state law requires them to be. That’s just the opposite of California, where scooter users are required to ride in the streets — but banned from streets with speed limits over 35 mph, unless they have bike lanes. Los Angeles wasn’t the only city celebrating a ciclovia this past weekend, as San Antonio TX drew an estimated 65,000 people to their open streets event. Can’t see the traffic for the cars. Several older people in Massachusetts say that scofflaw bike riders are a bigger worry than drivers, even after an 80-year old man was killed by a hit-and-run driver. Hoping to inspire others through art and history, a Massachusetts artist paints a mural of a local bikemaker, decades after his factory was shuttered. New York is improving safety for bicyclists by redesigning the city’s intersections, where 89% of bike collisions occur. Meanwhile, a New York councilwoman calls for maintaining bike lanes around construction zones. That would improve safety for LA bike riders, as well, who frequently find their commutes interrupted by roadside construction sites, or forced into unforgiving rush hour traffic. The bus driver responsible for the second bikeshare death in the US faces just 30 days behind bars after being found guilty of a misdemeanor right-of-way violation for killing a man riding a New York Citi Bike; authorities had falsely blamed the victim for swerving into the bus at first. Correction: I originally wrote that this was the first bikeshare death in the US. It was actually the second, following the death of a woman using bikeshare in Chicago. Thanks to J. Patrick Lynch for the heads-up. After a Temple University student was nearly killed by a hit-and-run driver while riding her bike, her brother invented a new kind of folding bike helmet that looks like a baseball cap “created by Space X engineers.” And raised over nine times his original $50,000 goal on a crowdfunding site. DC’s mayor considers lowering the speed limit to 15 mph in parts of the city to improve safety, while raising fines for speeding. A three-month temporary bike lane is already peeling off the street in New Orleans’ central business district, just weeks after it was applied. Even with those problems, it’s an approach Los Angeles should try, instead of holding months of public meetings in front of angry NIMBYs trying to reach a virtually impossible consensus. Far better to share the stats, facts and reactions afterwards, than the fear and anger beforehand. A Louisiana paper examines why it’s the second most dangerous state for people on bicycles, including one legislator who killed a bike safety bill because he didn’t want a kid to end up in jail for killing one of his bike riding constituents. There’s a good chance that some of his constituents might disagree, however. Bike Radar suggests lazy ways to become a better cyclist. I can definitely get behind the recommendations to sleep more, drink a few beers and eat more cake. Ottawa, Canada bicyclists are finding solidarity online after their bikes are stolen. The fear of having your bike stolen — let alone actually happening — is the best way to halt the growth of bicycling. A Canadian bicyclist insists that his personal study shows half of all bike riders break the law, and he’s willing to wear a license plate so all those darn scofflaw riders can have their bikes taken away. Writing for Forbes, Brit bike scribe and historian Carlton Reid insists ebikes aren’t cheating. 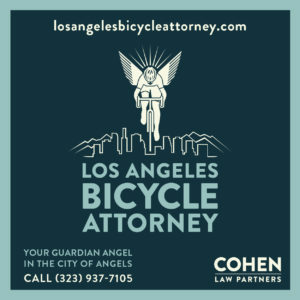 The BBC offers advice on what to do if you’re in a bike crash, ending with a suggestion to talk with a lawyer. 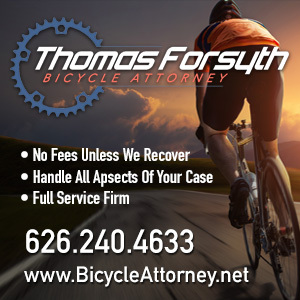 The same advice applies on this side of the Atlantic; I can personally recommend the lawyers you’ll find on the right of this page, and you can find more on the Bike Lawyers page. British bike riders start an online campaign to call attention to the problem of thieves stripping bike of their parts, or as they call it, half eaten bikes. Meanwhile, a London rider considers giving up bicycling after her bike was stripped for the third time. Heartbreaking story, as an autistic boy in the UK suffered agonizing burns to his neck when bullies pelted him with “toxic slime” as he rode his bike to school. An experienced bike rider in Malta has given up bicycling because the roads — and the drivers on them — are becoming increasingly dangerous. And he’s got the video to prove it. An editorial in an Indian newspaper argues that the country’s roads pose a huge risk to people’s lives, but traffic safety remains a low priority. More proof that we face the same traffic problems everywhere. Seriously? An Israeli paper asks how the government can tackle the rising dangers posed by ebikes — even though they’re limited to just 15 mph in the country, which is a fraction of the speed of many non-motorized riders. Meanwhile, Prime Minister Benjamin Netanyahu calls for regulating electric bikes after a 17-year old ebike rider was killed by a drunk driver. Although what kind of bike he was riding wouldn’t seem to have a damn thing to do with getting run over by a drunk. A Melbourne, Australia traffic engineer argues for converting a protected bike lane into a regular painted lane, saying that downhill protected lanes connecting with a number of driveways actually increases the danger for bike riders. Korea considers repealing an “ineffectual” new bill requiring bike riders to wear helmets, just days after it went into effect. A late-blooming Aussie cyclist has her sights set on the 2020 Tokyo Olympics, despite not riding a bike until she was 24. A roadie magazine recaps Alejandro Valverde’s victory in Sunday’s world championships, while, a VeloNews roundtable examines how we should feel about Valverde’s win, given his status as a relic of the doping era. The organizers of Iowa’s Jingle Cross cyclocross race cut ties with the race’s announcer, after a series of sexist remarks directed towards female cyclists over the three-day event. Seriously, referring to competitors as “the wives” and telling them to smile and look like they’re having fun shows a lack of respect that shouldn’t be tolerated anywhere, even in jest. That feeling when your newfound riding companion turns out to be an even bigger criminal than you. Why sit upright when you can pedal a recumbent bathtub (scroll down)? And that feeling when Sir Paul McCartney just happens to crash your wedding photos. Even if you don’t like the Beatles. What you describe as a punishment pass and was apparently a ticketable offense in BC looked like a normal pass in southern california to me. This sort of thing happens to me dozens of times a day in Long Beach and Northern OC. The punishment passes that stand out are even worse than this. Clearly to southern california drivers my life has no value and I could and probably will be killed recreationally. Sadly, I’ve said the same thing years.